At the heart of most schools’ curriculum, the understanding of social and political issues seems to be suppressed under the demand for students to comprehend Common Core and the push for students’ ability to take standardized tests well. Often, it takes an extreme act of social injustice to spark a conversation about political issues in schools; when in reality, people all across the nation face many forms of injustice every day, whether it be small acts of inequality or an event as large as a riot. Here at Summit Public School: Tahoma, the case might be a little different. There is a whole course dedicated to open discussion about politics and social issues called Sociology of Law. Lissa Thiele is the Sociology of Law teacher for the Expeditions team. The course is taught by Lissa Thiele, an Expeditions educator with a background in law and social justice advocacy and a member of the Juvenile Justice Commission of Santa Clara County. For five years she has taught the Sociology of Law course at Summit schools; this year she teaches at Summit Tahoma, Summit Prep, Summit Rainier and Summit Denali. Mrs. Thiele defines her course as a study of the legal system and the social patterns that influence the psychology of different groups of individuals. The class provides students with the tools and resources they need, not only in academics but also in social and emotional ways, to empower themselves to build the resilience necessary to be successful in Santa Clara County as civic-minded adults. Josh Villalva is one of the Teacher Assistants for Sociology of Law at Tahoma. Josh Villalva, a junior at Summit Tahoma, has been taking Sociology of Law for two years. He opened up about what he will take from this class into his life outside of school. Students learn about mass incarceration and criminalization of minorities through the documentary 13th. 13th tells the story of African Americans facing racial injustice in the real world since the creation of the 13th Amendment. Another one of Mrs. Thiele’s most important objectives for this class is to strengthen students’ abilities to confidently participate in political discussions in the real world. 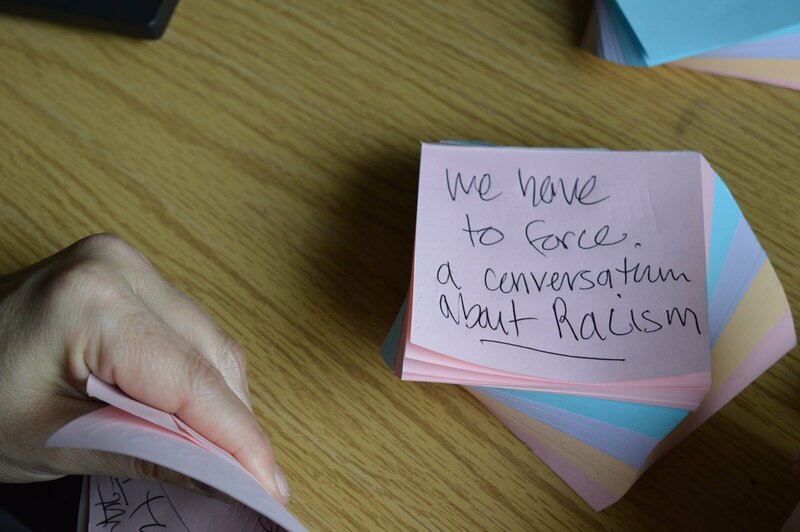 Throughout the school year, students engage in multiple Socratic Seminars and watch films about social injustice, which allows them to reflect on current juvenile justice policies and pushes students to contribute in solution-based brainstorms to end sentences. Very few other classes at Summit Tahoma, or in San Jose in general, model the type of curriculum that Sociology of Law presents. The class provides a safe space for students to open up about their opinions, no matter how controversial they might be. Mrs. Thiele facilitates a class discussion after finishing the film. The class also covers many political issues of the past and the present, as well as social issues— for example, the legalization of marijuana in California. Mrs. Thiele believes giving students the ability to share their perspective about issues most adults attempt to avoid is one of the most crucial and principal aspects of her class. Mrs. Thiele provides background for some aspects of the documentary by presenting about the War on Drugs in the United States. Mrs. Thiele largely advocates for those who lack a voice in history due to the “model of oppression” and “culture of power” she has personally experienced in studying history. One of her students relates to this concept of untold stories. Elizabeth Huitron is a senior at Tahoma. The lack of political and social education in the classroom, as Huitron stated, can be connected back to teachers’ caution in discussing controversial topics during school. NPR interviewed the two authors of The Political Classroom: Evidence and Ethics in Democratic Education, a book about helping students learn how to handle political questions, and asked these women various questions about politics in a school setting. Arianna Zavala is a sophomore at UC San Diego. 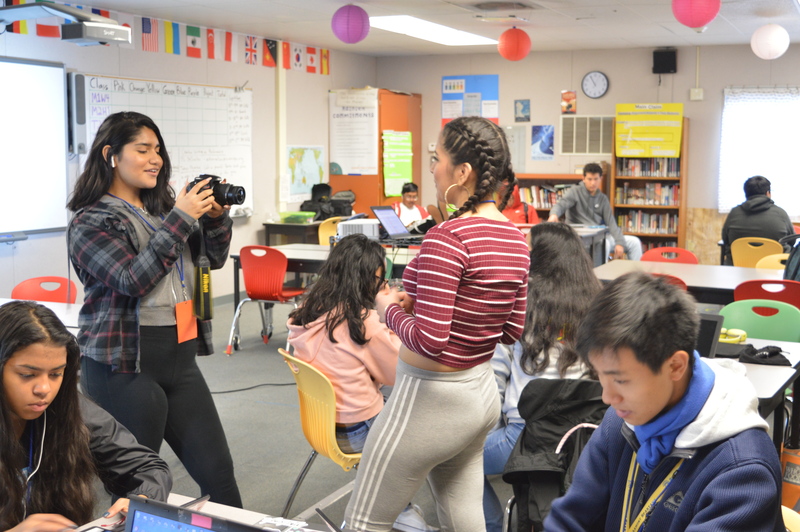 One of Mrs. Thiele’s previous students, Arianna Zavala, graduated in the spring of 2016 from Summit Tahoma and found herself more than prepared when it comes to sharing her political views in a brand new social and academic setting. Without a doubt, Mrs. Thiele’s curriculum pushes students to become contributing members of society by diving into these types of political and social topics and structuring her class as an safe, open environment for student perspectives. Featured Image (top of this post): Mrs. Thiele jots down notes to discuss with the class after 13th.